Indexed Annuities - Da Coach Likes Them Should You? You are here: Home / Annuities / Indexed Annuities – Da Coach Likes Them Should You? Variable annuities have positive features as well as negative features, which means they are the right choice for some investors and not for others. Let's keep it simple and list the most apparent positive and negative features of variable annuities to see how they relate to each other and whether they suit your specific needs. Christie thank you for your comment. This post is about Index Annuities which are a whole different animal from the basic vanilla variable annuity. Even FINRA has a section on their site cautioning investors about this products. They are very complex and very expensive. Roger, you incredibly state that VA's are basic and vanilla (gee what do you sell). What a joke. VA's have M/E, mortality and expense fees at 1.25%FIA's do not. VA's, have 100% risk of your principal because they are securities sold by financial planners like you and you must give the consumer a prospectus, (which less than 5% of all consumers have ever read cover to cover as they were designed by attorneys and are way to complex.) They should just say if you are willing to invest in a VA,or any security, simply know you are paying a ton of fees and you could lose 100% of you entire investment, period. FIA's have no prospectuses and you cannot lose any principal. An FIA is an insurance product and not one dime has been lost since the first FIA was sold in 1994. The average VA's fees are 3.5%. VA's have sub account fees average 1%, FIAS have no sub account fees. FIA's have no fees, unless you choose an income rider which BTW is cheaper fee than an VA rider fee. FIA's have caps and particpation rates as they are not intended to compete with securities they are an alternative to low paying CD's and the risky stock market. They also pay an income for life just like a VA does but without losing 100% of your principal due to negative markets and without paying on average 2-400% higher in fees with a VA. With that said my FIA made over 30% two years ago WITHOUT GAMBLING IN THE STOCK MARKET OR YOUR VANILLA VARIABLE ANNUITES. And unlike your VA's we get to keep our gains, your VA's go back down in value when the market tanks again and again. So forget about the typical investment adviser slant that you do not get all the upside, your are dead wrong again. Bashing products you obviously no little about is a transparent window to your readers that your are better then they are. Keep up the good work with your blogs my friend I love to read CFP's who sell inferior products and only defense is to bash the competition. Did you realize every major broker dealer now is feverishly setting up to sell FIA's? Why becasue after SEC chairman Cox tried to make them securitites at a midnight vote over section 151A in his last night in office as he was shockingly going to work for a brokerage house, he unsuccessfully got it passed and it was shot down and Congress agrees, FIA's are insurance products not secuities. Thus because your industry could not buy us, you now are joining us. Typical wall street crooks! Hey hows business? Mr. or Ms. Anonymous thank you for your comment. First off I do not sell financial products, you might refer to the header of the site where I clearly state that I am a fee-only advisor. Also in the About Me section I mention that I am a member of NAPFA which I'm sure that you are aware is the country's largest professional organization of fee-only advisors. For starters you are painting me with the wrong brush. If you want to read about advisors selling inferior products, this is not the blog for you, again I don't sell any financial products. As for the "plain vanilla" reference I was trying to distinguish between EIAs and what I consider to be the "regular" VAs that many folks are used to seeing. I agree that VAs are complex and for that reason I'm not a big fan of most of them that I have seen. There are some VAs out there that have no surrender fees, solid sub-accounts, and all-in expenses well under 100 basis points. Generally I only suggest a VA as a means to do a 1035 exchange from a higher expense product for clients. As for FIAs not being securities, as you state there is debate about that point. I'm going to leave that argument to others, however. Further, the points from the Reuter's article are largely taken from FINRA's website and echo concerns they have raised. All that aside, my biggest beef is with paid celebrity spokespeople for any financial services product or firm. As I state clearly in the post "An Equity Indexed Annuity might or might not be a good solution for your situation." Every client's situation is different. An EIA might be a good solution for a given client. But that decision is best made via collaberation between the client and their advisor. People need advice in today's environment, not a shabby sales pitch. And thanks for asking, business is pretty good, no complaints. NAFA, the National Association for Fixed Annuities, completely agrees with the closing statement – individuals should not purchase financial products based purely on the endorsement of a celebrity. It is never a good idea to buy any product without doing your own research and talking to professionals who specialize in and are knowledgeable about the product you are considering. However, to tarnish this sound advice with the implication that Mr. Ditka’s endorsement was “not inexpensive” demonstrates that there was little fact checking prior to publication. The fact is that insurance advertising law requires that any paid endorsement be disclosed. Mr. Ditka did not receive any compensation for his endorsement of fixed indexed annuities. NAFA has confirmed this with the ad sponsor (written documentation available upon request). This fact does not change the importance of cautioning against sole reliance on celebrity endorsements, however, stating he is “not inexpensive” impugns the credibility of the endorsement, is factually incorrect and misleading. The article’s information about indexed annuities appears to be limited solely to FINRA, the Financial Industry Regulatory Authority, an independent regulator, and Reuters, a news publication. Readers should also be aware that FINRA has oversight authority over risk-based investment products including variable annuities, stocks, bonds, money markets and other securities. FINRA does not have any authority over fixed indexed annuities which are first and foremost an insurance product and subject to the tested and proven regulation of state insurance departments. If you are interested in balanced information and corrections to the Reuters excerpt please click here. Indexed annuities’ non-security and insurance status has been recently reaffirmed by the courts and by Congress. Federal law now clearly states that indexed annuities do not have characteristics of both fixed and variable annuities – they are a fixed and fully insured annuity using a market index to determine additional interest. Consumers are GUARANTEED that they will never lose one penny because of negative market performance unlike a variable annuity or any other security. NAFA appreciates all types of financial professionals. Consumers who are looking for investment advice, insurance protection, or building a financial plan should have their choice of professionals (fee-based or commission) and products. Insurance agents and advisors have been selling fixed annuities for centuries and being paid commission from the insurance company. Commission based products are attractive to Americans who feel paying additional fees out-of-pocket adds unnecessary constraints on their budgets. Some simply do not have the amount of assets required by the fee-based planner. That is why it is good they have a choice and fee-based planners may be the right choice for some but not all. Furthermore, any discussion of conflict of interest (“In fact I have been told that annuities are among the highest revenue generators for financial sales people…”) must not ignore the conflict of interest apparent in an article encouraging personal contact and written almost entirely with excerpts from a securities’ regulator website and a single news story. What is left of the story that is not quoted includes a false allegation of an endorser and an unsupported allegation about annuity sales people. Readers may be interested in other informative sites such as http://www.fixedannuityfacts.org or http://www.indexedannuityinsights.org. Indexed annuities are not necessarily for everyone but before you decide, get all the facts from a variety of sources. If you would like more information or additional fact-based sources, please visit http://www.nafa.com or email me, kim@nafa.com. Kim thank you for your comments and for visiting the site. Besides the whole issue of celebrity endorsements of any financial product these types of advertisements to me are akin to prescription drug makers running ads for various medications and ecouraging you to go in ask your doctor about them. Not something that I would ever do, I leave it to my doctor to prescribe a medication that he thinks is best for me if needed. Thank you for the clarification on Mr. Ditka's compensation. I do not believe that the fact that he was an unpaid spokesman was disclosed on any of the several commercials that I heard and therefore would have had no reason to think that was the case. None the less, Mike Ditka's endorsement, paid or unpaid, is no reason for anyone to consider an Indexed Annuity or any other financial product. A point of clarification, I am a fee-only advisor, this is wholly different than fee-based. 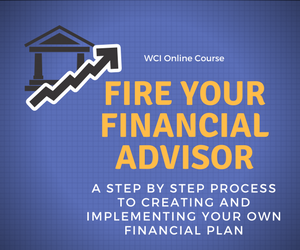 In fact fee-based advisors typically sell financial products and often receive a partion of their compensation in the form of commissions. One question that I would have is this. Do you not agree with the questions raised by FINRA and in the Reuters article in terms of questions that perspective consumers of Indexed Annuities should be asking? If no, why not? While I will admit that I am not a huge fan of these products, my issue here was more along the lines of the way that this group was marketing them. My other issue again goes back to the drug commericial analogy. Moreover I feel that the lead conversation should not be about which financial product(s) to use, but rather should be financial planning related. The client's goals, time horizon, resources, and risk tolerance should be the focal points of the discussion. Only then should any implementation issue be discussed. Perhaps this might include an EIA or it might not. Where I think that we differ is that I feel that consumers should look to an advisor who is free from the conflicts of product sales commission and I'm guessing that your organization does not feel this way. If you feel that the "lead" conversation should not be pushing which products to buy, you are going to have a hard time watching TV in your own home where thousands of mutual fund companies pushing their 5 star "products" every day on national television for the past 25 years and illustrating past performance which means nothing to the consumer looking ahead. Take the Met Life variable annuity commercial with snoopy flying around in an airplane touting Variable Annuities. Have you blogged against Met Life yet? Why not Roger? I quote " you have the ability to make market gains when the market goes up and when it falls, you can have the comfort to turn on an income for life" What they conveniently leave out is the fact that while the market is falling you are losing ALL your previous gains that you recently earned and your principal as well, and your account value could go to zero, meaning you have no cash values left what so ever, but do not worry we will still give you income. In contrast if an FIA commercial were playing on TV it would state when the market declines you keep ALL previous years gains and you still have an income for life and all of this with an insurance product with less fees, than a security annuity. After reading your response to NAFA , it is obvious you do not like FIA's. Thus the 250 Billion dollars safely growing in these products over the past 15 years and all the consumers who did not lose one dime with the enormous market collapses in the past 10 years, 2000, 2002, 2003, and 2008 again must be a hard fact for you to swallow. My advice, if you do not own one you should not comment on one, as you obviously do not own one, because if you have the past 10 years you would not make these biased an inaccurate opinions about them. Mr. or Ms. Anonymous several questions for you. First why do you object to a post that encourages people to ask questions about these products? Second do you feel that someone should run out (so to speak) and purchase an EIA (or any financial product) based on a celebrity endorsement? Am I a fan of these products, not really but I also do not dismiss them out of hand. As I state in the post, the conversation starter should be about the client and their needs, not about which financial product is right for them. Implementation should follow planning. Again do you disagree with this concept? To sum up the post is really about what I consider to be some objectionable sales tactics. Again, why would you object to me pointing this out? Lastly why such a venomous tone to your comments? Wow – so much emotion! Mr. Wohlner, did you hit a nerve? 1) Mr/Mrs/Dr/Reverend/Master/etc Annonymous: loose the comfortable cloak of anonymity and declare yourself. Why should we take your comments seriously? … After all, you could be a struggleing competitior of Mr. Wohlner's? A snubbed date from 1986? An akward 13 year old having fun? An insurance agent struggling to make his/her sales? Or? 2) Please read the original post again … and don't read what is NOT there. In other words, don't put words in Mr. Wohlner's mouth. As far as I am concerned the post talks about being a savvy consumer and NOT getting blinded by celebrity endorsements … would you buy anything from Jerry Sandusky right now? 3) For good order: I have no connection to Mr. Wohlner other than I follow him on Twitter and like his COMMON SENSE approach to financial planning, which includes asking questions, lots of questions! 5) Mr. Wohlner – keep up the good work!! Thomas thank you for your comment, very much appreciated. i THINK ANONYMOUS SHOULD IDENTIFY HIMSELF – SINCE I HAVE TO CLEAN UP AFTER HIM AND THE MESS HE MAKE'S FOR MY CLIENTS – I AM HAPPY TO SUE ANONYMOUS' ALL THE TIME BECAUSE OF THEIR FAILURE TO COMPLY WITH MY FIDUCIARY RESPONSIBILITIES – ROGER IS BEING TOO NICE TO YOU – SO I WILL SAY IT FOR HIM – EIA'S ARE JUNK!! Thanks for your comment and your support. The sad truth is that in my experience, the majority of the folks selling these things are sales people and not advisors. I’m very late to this discussion. Roger, I have found that the annuity sales dudes do not like anyone questioning or dissing their products. I have written several posts in the past that were critical of FI annuities and I drew the ire of some people. That right there should show the average person just how much is at stake in the FI annuity business. Case in point read all of the comments on this post. My biggest issue with these products? Lack of easy disclosure. Since they are an insurance product, getting a prospectus is not so simple. I can’t just search and pull a copy. Years ago, I had the opportunity to review one for a friend who was getting the hard sell. The product had a series of “features” that I was able to plug into a spreadsheet. First, it was tied to the S&P index. That sounded great, but it ignored dividends. Over the long term, 3% of the market’s 10% return was from dividends. Next, a convoluted crediting process which capped a monthly gain to 2%, but let the losses in a given month remain. i.e. 4% up in February and 2% down in March cancelled each other for the yearly calculation. The final result was when applying this series of floors and caps to a 20 year bull market, 1980-2000, the results lagged CD or medium treasuries. Applied to a bad decade? The 2001-2010? Similar results. My conclusion is that it’s possible to build a product that has a floor (no loss in a down market) and some market participation, but I have yet to see one. What I found unconscionable was that the agent trying to sell the product I described above made the claim that you could see a return “as high as 24%” in a year. Yet, the chance of this occurring was virtually zero, requiring each and every month of the year to have that 2% gain. The marketing folk realize that any ‘past performance’ data would show just how awful these products are. Thanks for the comment, good seeing you at FINCON. I’ve yet to see a good indexed annuity. You hit it on the head, the disclosures aren’t there. There are actually reps and agents who actually claim there are no expenses on these contracts. Beyond the internal contract expenses and the caps that you mentioned, there are generally onerous surrender charges. I’ve recently saw two contracts, one with a 10 year surrender period, the other with a 15 year surrender. Nothing good here as far as I can tell.